Region of growth (epiphyseal growth plate) in an immature thigh bone. 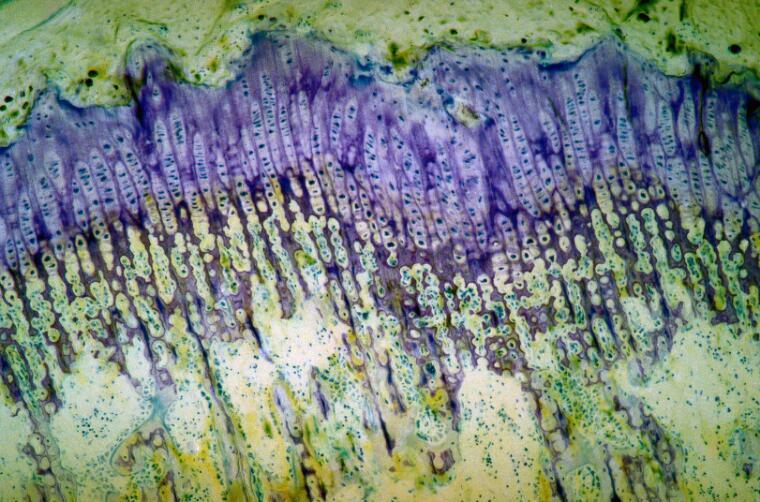 Cartilage is stained purple and bone yellow-green. The rapidly dividing cartilage cells within the purple band at the top form stacks that run parallel to the long axis of the bone. Below this zone the cartilage becomes calcified and the cartilage cells (chondrocytes) die. Below this again is the ossification zone where the bone tissue is laid down.